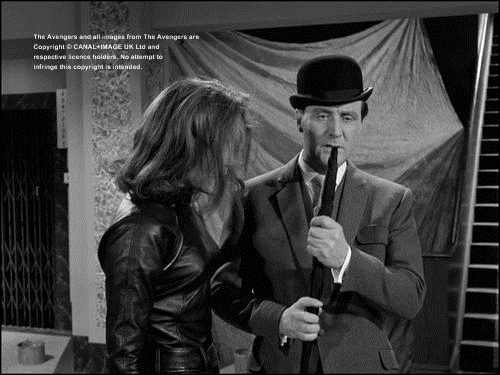 The umbrella, or as John Steed used to call it his "brolly" seems to be a kind of the fifth limb of Steed. 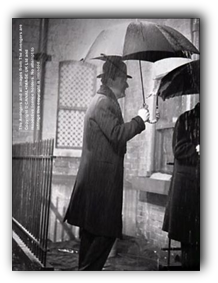 Whenever he is wearing a suit the brolly is with him, and the brolly is a permanent part of his clothing, the color always fits the color of the suit worn. 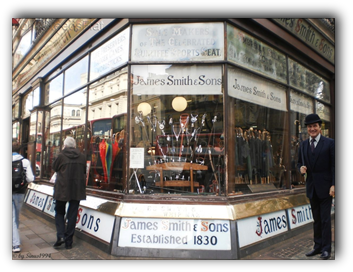 John Steed buys the brollies at Smith and Sons, Oxford Street, London. 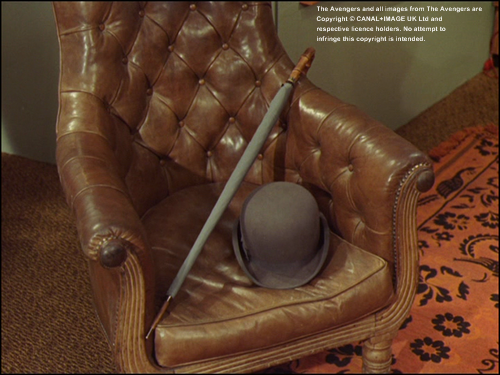 Most of the time he is using umbrellas with a Whangee cane handle, but a few have a leather crook. 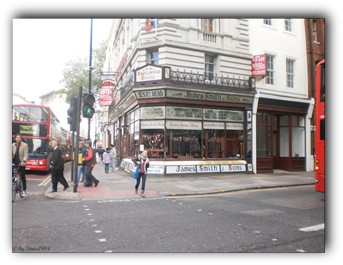 John Steed spotted during his shopping in London. 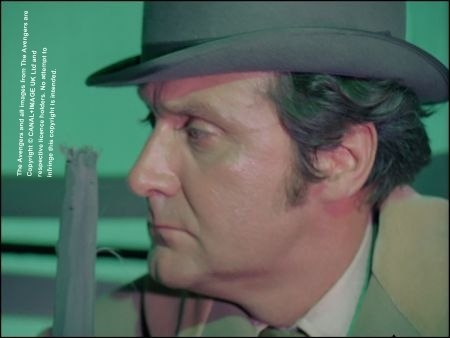 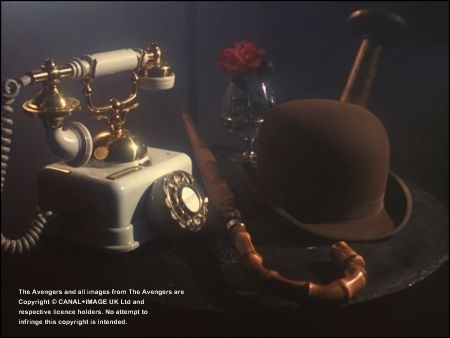 John Steed carries it not only with the bowler but also in combination with other hats such as the Fedora, for example in the episode Bullseye. 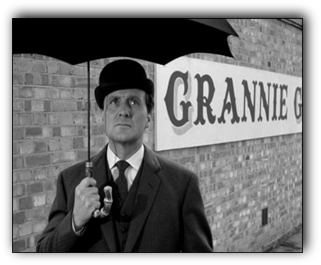 Rarely the brolly is used by Steed to shelter from the rain in England (Death of a Batman, A Surfeit of H2O). 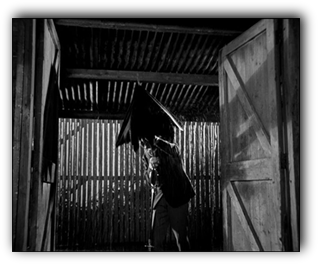 The brolly is a useful tool, such as for ringing the doorbell in The Town of No Return, The Murder Market, Escape in Time and Game. 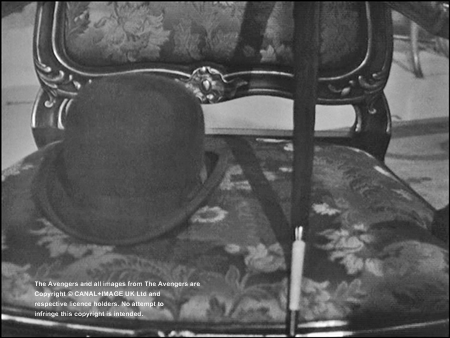 Brolly casualties happened in Death at Bargain Prices, The Bird Who Knew Too Much and Killer. 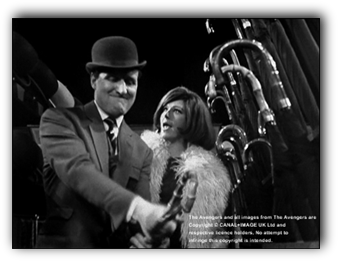 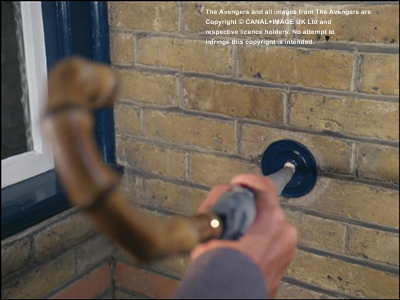 John Steed visits a brolly shop twice during The Avengers. 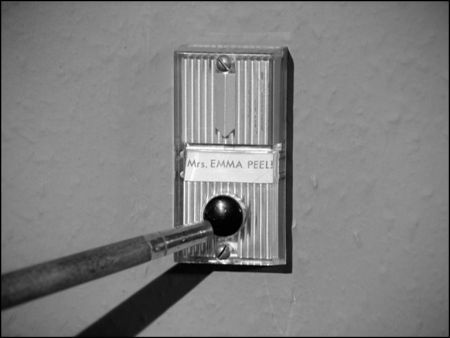 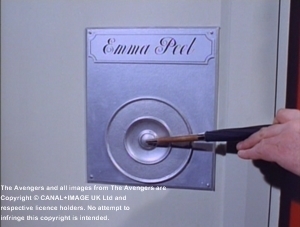 It happens the first time in series 3 episode The Charmers and a second time in the Emma Peel era in The Correct Way to Kill. 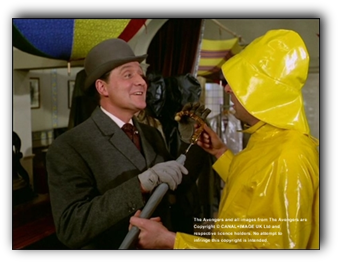 In The Charmers Steed is checking the brollies in the shop for a brolly with a hidden sword inside, in the second episode, the shop's owner admires Steed hidden brolly blade.